Kemar Roach picked up a sensational 5-17 during England’s disastrous 77 all out during the first innings against West Indies in the first Test at Barbados, and earns himself Wednesday’s Turbo Bowler award, writes ANITHA MADIKIZELA. 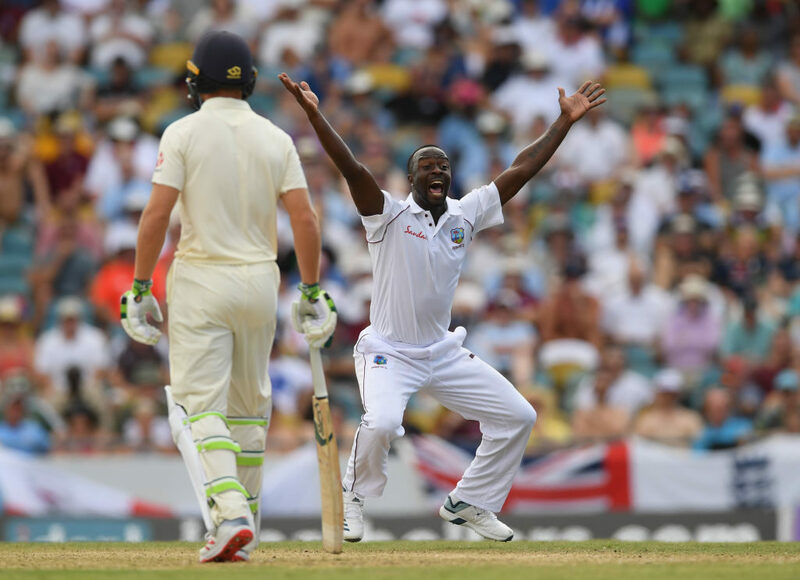 Roach was at his blistering best after lunch on day two as his destructive spell of 5-17 in 11 overs left England on the canvas at 77 all out by tea time in response to the West Indies’ solid 289 all out in their first innings. England resumed their innings after the lunch interval on 30-1, but their cataclysmic collapse was sparked by Roach when he dismissed Rory Burns five balls after the resumption. The wheels came off the England bus as Jonny Bairstow (12 off 17 balls, 1×4) lost his wicket to his old foe Roach – it was the fourth time Roach had dismissed him in Test cricket. Roach went on to pick up the wickets of Ben Stokes (a 17-ball duck) and Moeen Ali (a first-ball duck) with two consecutive balls to reduce the visitors to 48-6 inside 20 overs. 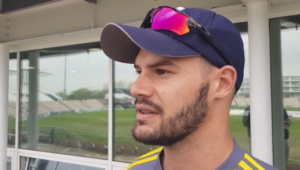 He finished his destructive run less than two overs later with the wicket of Jos Buttler after the batsman had scored only four runs off 14 balls, leaving England (No 3 on the ICC’s Test rankings) stunned at 49-7 against the 8th-rated Test nation, who recently lost to 9th-ranked Bangladesh. England are all out for 77, their fourth-lowest total against the Windies. Kemar Roach was the star for the home side, collecting extraordinary figures of 5/17. England were bundled out for 77 off 30.2 overs, with Jason Holder (2-15) and Alzarri Joseph (2-20) also getting among the wickets. The West Indies reached 52 without loss in their second innings before a six-over blitz by Moeen Ali (3-18) and Ben Stokes (2-16) reduced the West Indies to 63-5 with more than 20 overs left on day two.